I was looking at a friend’s photos on Flickr and came across a horse with odd coloring. As often happens these days, I was immediately overcome with the desire to create a fantasy horse step-out. The problem, of course, is that horses are hard. How to simplify enough for this series? And then I thought of the cave paintings of Lascaux. Animals reduced to their bare essence, yet clearly recognizable. 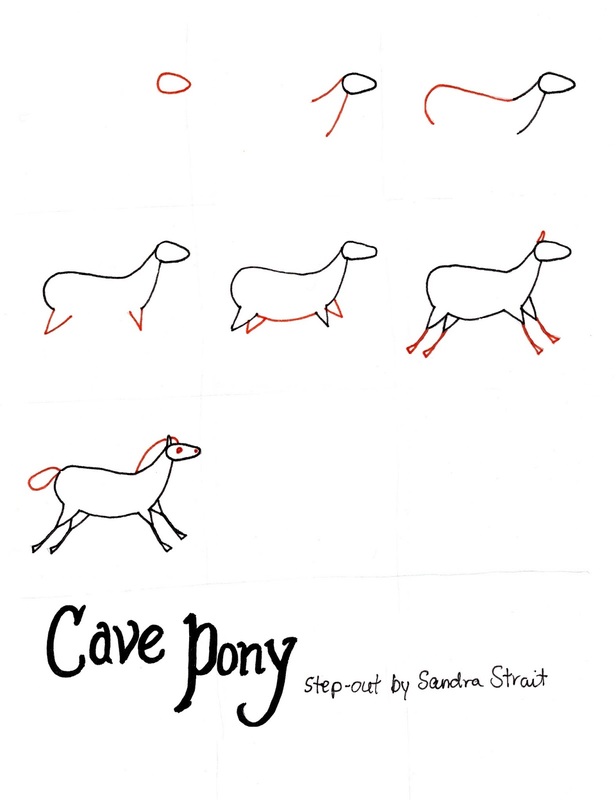 So I googled the cave painting of a pony, and here’s what I came up with.